Jean-Jacques Burnel, the Bass Player with the Stranglers was born 21 February 1952. The Stranglers are an English punk rock music group Comprising of Hugh Cornwell, JeanJacques Burnel, Jet Black and Dave Greenfield. 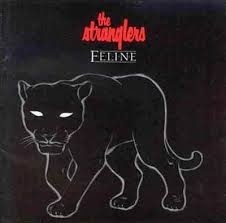 Scoring some 23 UK top 40 singles and 17 UK top 40 albums to date in a career spanning four decades, the Stranglers are the longest-surviving and most “continuously successful” band to have originated in the UK punk scene of the mid to late 1970s. Beginning life as the Guildford Stranglers on 11 September 1974 in Guildford, Surrey, they originally built a following within the mid-1970s pub rock scene. While their aggressive, no-compromise attitude identified them as one of the instigators of the UK punk rock scene that followed, their idiosyncratic approach rarely followed any single musical genre and the group went on to explore a variety of musical styles, from New Wave,art rock and gothic rock through the sophisticated pop of some of their 1980s output. Jet Black’s style is usually simple and jazz-influenced, although “Duchess” and “Down in the Sewer” are examples of Stranglers songs that feature more frantic drumming. In the mid-1980s, Black elected to cease playing acoustic drums in the recording studio and used aSimmons kit triggered by pick-ups, most notably on the Feline and Aural Sculpture albums. Black is still currently drumming for The Stranglers, despite his advancing years. His name is frequently chanted by the crowd at concerts. The Stranglers Went on a 16-date tour in February and March 2010 and toured the UK in 2011 and will be embarking on the March On tour over the course of 2015.
vince Welnick, the current keyboard player with the Grateful Dead was born 21 February 1951. The Grateful Dead were fomed in 1965 in the San Francisco Bay Area and were known for their unique and eclectic style, which fused elements of rock, folk, bluegrass, blues, reggae, country, improvisational jazz, psychedelia, and space rock. These various influences made the Grateful Dead “the pioneering Godfathers of the jam band world.” They were ranked 57th rolling Stone’s Greatest Artists of all Time poll and were inducted into the Rock and Roll Hall of Fame in 1994 and their Barton Hall Concert at Cornell University was added to the Library of Congress’s National Recording Registry.The founding members of the Grateful Dead were Jerry Garcia (guitar, vocals), Bob Weir (guitar, vocals), Ron “Pigpen” McKernan (keyboards, harmonica, vocals), Phil Lesh (bass, vocals), and Bill Kreutzmann (drums). Lesh was the last member to join the Warlocks before they became the Grateful Dead; he replaced Dana Morgan Jr., who had played bass for a few gigs. With the exception of McKernan, who died in 1973, the core of the band stayed together for its entire 30-year history. The Grateful Dead began their career as the Warlocks, in early 1965 from the remnants of a jug band called Mother McCree’s Uptown Jug Champions, although The band later changed their name to The Grateful Dead, I.e “the soul of a dead person, or his angel, showing gratitude to someone who, arranged their burial.”One of the group’s earliest major performances in 1967 was at the Avalon Ballroom by the San Francisco Hare Krishna temple, where The Grateful Dead performed alongside the Hare Krishna founder Bhaktivedanta Swami, poet Allen Ginsberg, bands Moby Grape and Big Brother and the Holding Company with Janis Joplin, donating proceeds to the Krishna temple.The band’s first LP, The Grateful Dead, was released in 1967. 1970 included tour dates in New Orleans, Louisiana, where the band performed at The Warehouse for two nights. Mickey Hart quit the Grateful Dead in February 1971, leaving Kreutzmann once again as the sole percussionist. However Hart rejoined the Grateful Dead in October 1974. Tom “TC” Constanten was added as a second keyboardist from 1968 to 1970, while Pigpen also played various percussion instruments and sang. Following the Grateful Dead’s “Europe ’72″ tour, Pigpen’s health seriously deteriorated and he could no longer tour with the band. His final concert appearance was June 17, 1972 at the Hollywood Bowl, in Los Angeles and died in March, 1973 of complications from alcohol abuse. The Grateful Dead formed their own record group, Grateful Dead Records & released the album, the jazz influenced Wake of the Flood in 1973 and in 1974 they released the classic album, Grateful Dead from the Mars Hotel. Then the Grateful Dead decided to take a break from live touring, however This hiatus was short lived, and they resumed touring in 1976, and released the album Terrapin Station in 1977.During the 1980s the bands sound transformed. Sadly though Garcia’s health began to decline. His drug habits caused him to lose his liveliness on stage. After kicking his drug habit in 1985, he slipped into a diabetic coma for several days in July 1986. After he recovered, the band released In the Dark in 1987, which resulted as their best selling studio album release, and also produced their only top-10 chart single, Touch of Grey. Inspired by Garcia’s improved health and a successful album, the band’s energy and chemistry peaked in the late 1980s and 1990 and they enjoyed a resurgence in their popularity. Sadly The band’s “high time” came to a sudden halt when Mydland died in 1990. So Vince Welnick, joined on keyboards and vocals and Bruce Hornsby joined the band on Piano and vocals on September 15, 1990.The fans of the Grateful Dead, some of whom followed the band from concert to concert for years, are known as “Deadheads” and are known for their dedication to the band’s music. From 2003 to 2009 former members of the Grateful Dead, along with other musicians, toured as The Dead and The Other Ones. 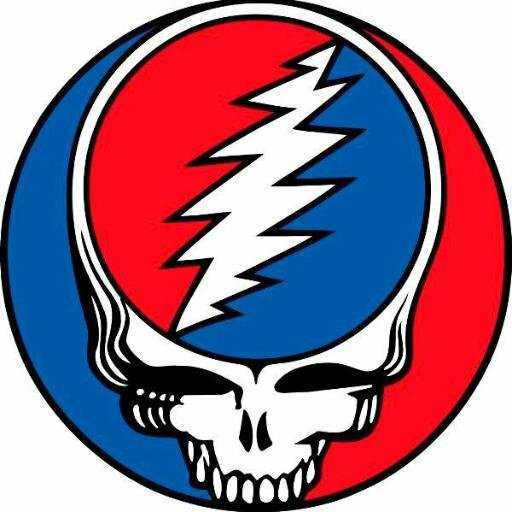 There are many contemporary incarnations of the Dead, with the most prominent touring acts being Furthur and Phil Lesh & Friends and although both Jerry Garcia and Brent Mydland have passed away, they remain popular. English actor and Director Alan Sidney Patrick Rickman was Born 21 February 1946 in Acton, London. Rickman attended Derwentwater Primary School, in Acton, a school that followed the Montessori method of education. He excelled at calligraphy and watercolour painting. From Derwentwater Junior School he won a scholarship to Latymer Upper School in London, where he became involved in drama. After leaving Latymer, he attended Chelsea College of Art and Design and then the Royal College of Art. This education allowed him to work as a graphic designer for the radical newspaper the Notting Hill Herald. He also played romantic leads like Colonel Brandon in Sense and Sensibility and Jamie in Truly, Madly, Deeply (1991); numerous villains in Hollywood big budget films, like German terrorist Hans Gruber in Die Hard (1988) and the Sheriff of Nottingham in Robin Hood: Prince of Thieves; the very occasional television role such as the “mad monk” Rasputin in an HBO biopic Rasputin: Dark Servant of Destiny for which he won a Golden Globe and an Emmy. He was the “master of ceremonies” on Mike Oldfield’s album Tubular Bells II, released in 1992, on which he read off a list of instruments on the album. His role in Die Hard earned him a spot on the AFI’s 100 Years…100 Heroes & Villains as the 46th best villain in film history, His performance as the Sheriff of Nottingham in Robin Hood: Prince of Thieves also garnered praise. He also portrayed Severus Snape, the potions master in the Harry Potter series. During his career Rickman has also played comedic roles, sending up classically trained British actors who take on “lesser roles” as the character Sir Alexander Dane/Dr. Lazarus in the science fiction parody Galaxy Quest, portraying the angel Metatron, the voice of God, in Dogma, appearing as Emma Thompson’s foolish husband Harry in Love Actually, providing the voice of Marvin the Paranoid Android in The Hitchhiker’s Guide to the Galaxy and the egotistical, Nobel Prize-winning father in Nobel Son. He was nominated for an Emmy for his work as Dr. Alfred Blalock in HBO’s Something the Lord Made (2004) and also starred in the films Snow Cake with Sigourney Weaver and Carrie-Anne Moss, and Perfume: The Story of a Murderer. He also appeared as the evil Judge Turpin in the critically acclaimed Sweeney Todd: The Demon Barber of Fleet Street directed by Tim Burton, alongside Harry Potter co-stars Helena Bonham Carter and Timothy Spall. Rickman also appeared as Absolem the Caterpillar in Burton’s film Alice in Wonderland. In 2011, Rickman again appeared as Severus Snape in the final installment in the Harry Potter series, Harry Potter and the Deathly Hallows – Part 2 and earned his first award nominations for his role as Snape at the 2011 Alliance of Women Film Journalists Awards, 2011 Saturn Awards, 2011 Scream Awards and 2011 St. Louis Gateway Film Critics Association Awards in the Best Supporting Actor category. On 21 November 2011, Rickman opened in Seminar, by Theresa Rebeck, at the John Golden Theatre on Broadway. Rickman, won the Broadway.com Audience Choice Award for Favorite Actor in a Play and was nominated for a Drama League Award.Rickman starred with Colin Firth and Cameron Diaz in a remake of 1966’s Gambit by Michael Hoffman. In 2013, he played Hilly Kristal, the founder of the famous East Village punk-rock club CBGB, in the CBGB film with Rupert Grint. Alan Rickman sadly passed away 14 February 2016 at the age of 69 however He has left behind a large number of great films and will be sadly missed. On 21 February 1804, the world’s first self propelling locomotive, the Pen-y-Darren, ran along the Merthyr Tydfil treatment road from Pen-y-Darren to Abercynon a distance of 9.75 miles(16 kilometres). 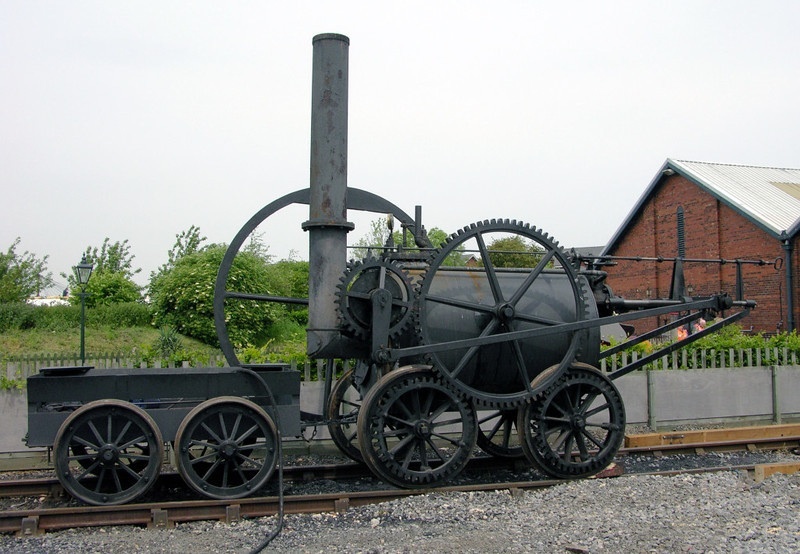 The Pen-y-Darren was based on a 1802, high-pressure steam engines which had been built by Cornish engineer Richard Trevithick to drive a hammer at the Pen-y-Darren Ironworks in Merthyr Tydfil, Mid Glamorgan . With the assistance of Rees Jones, an employee of the iron works and under the supervision of Samuel Homfray, the proprietor, The engine was mounted on wheels and turned it into a locomotive. In 1803, Trevithick sold the patents for his locomotives to Samuel Homfray. Homfray was so impressed with Trevithick’s locomotive that he made a bet with another ironmaster, Richard Crawshay, for 500 guineas that Trevithick’s steam locomotive could haul ten tons of iron along the Merthyr Tydfil Tramroad from Penydarren to Abercynon. Amid great interest from the public, on 21 February 1804 it successfully carried 10 tons of iron, 5 wagons and 70 men the full distance in 4 hours and 5 minutes, an average speed of approximately 2.4 mph (3.9 km/h). as well as Homfray, Crawshay and the passengers, other witnesses includedMr. Giddy, a respected patron of Trevithick and an ‘engineer from the Government’. the engineer from the government was probably a safety inspector and particularly interested in the boiler’s ability to withstand high steam pressures. The configuration of the Pen-y-darren engine differed from the Coalbrookdale engine. The cylinder was moved to the other end of the boiler so that the firedoor was out of the way of the moving parts. This obviously also involved putting the crankshaft at the chimney end. The locomotive comprised a boiler with a single return flue mounted on a four wheel frame at one end, a single cylinderwith very long stroke was mounted partly in the boiler, and a piston rod crosshead ran out along a slidebar, an arrangement that looked like a giant trombone. As there was only one cylinder, this was coupled to a large flywheel mounted on one side. The rotational inertia of the flywheel would even out the movement that was transmitted to a central cog-wheel that was, in turn connected to the driving wheels. It used a high-pressure cylinder without a condenser, the exhaust steam was sent up the chimney assisting the draught through the fire, increasing efficiency even more. Despite many people’s doubts, he won the bet and showed that, provided that the gradient was sufficiently gentle, it was possible to successfully haul heavy carriages along a “smooth” iron road using the adhesive weight alone of a suitably heavy and powerful steam locomotive. Trevithick’s was probably the first to do so; however some of the short cast iron plates of the tramroad broke under the locomotive as they were intended only to support the lighter axle load of horse-drawn wagons and so the tramroad returned to horse power after the initial test run. Homfray was pleased he won his bet. The engine was placed on blocks and reverted to its original stationary job of driving hammers. In modern Merthyr Tydfil, behind the monument to Trevithick’s locomotive is a stone wall, the sole remainder of the former boundary wall of Homfray’s Penydarren House. A full-scale working reconstruction of the Pen-y-darren locomotive was commissioned in 1981 and delivered to the Welsh Industrial and Maritime Museum in Cardiff; when that closed, it was moved to the National Waterfront Museum in Swansea. Several times a year it is run on a 40m length of rail outside the museum.